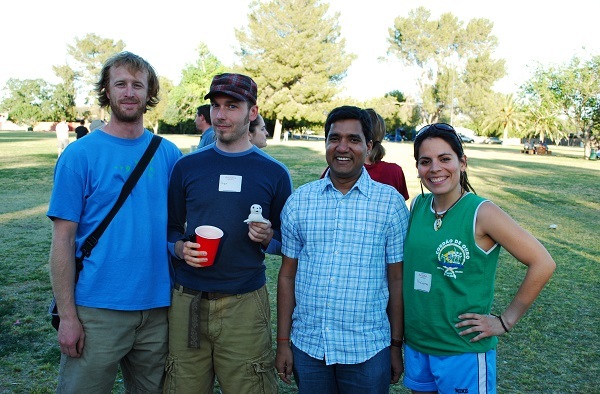 Front Row, Left to Right: Ángel Briseño, Jeffrey Klakovich, Katerena Matos, Neha Gupta, Tiffani Canez. 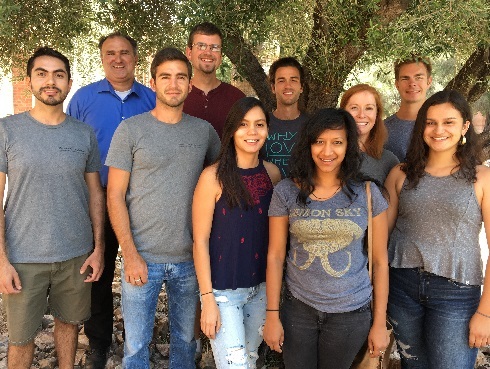 Back Row, Left to Right: Thomas Meixner, Joel Atwood, Joshua Welty, Victoria Hermosilla, Jack Anderson. Not pictured: Jessica Lynum. 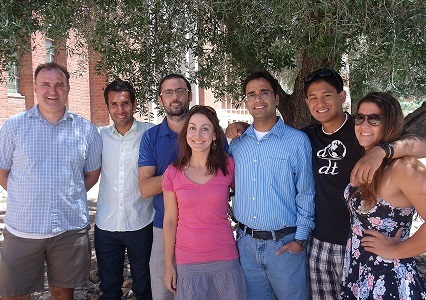 Front Row, Left to Right: Roy Tirthankar, President; Mohammad Moghaddam, Social Chair; Tim Lahmers, Vice President; Erin Gray, Undergraduate Representative; Tom Meixner, Faculty Advisor; Tao Liu, Treasurer; Jack Eyre, Social Chair. Back Row: Mekha Pereira, Undergraduate Representative. 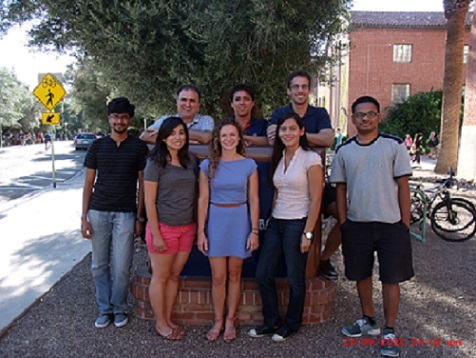 Left to right: Tom Meixner, Faculty Mentor; Rodrigo Marcelo Valdes, President; Francisco Balocchi, Treasurer; Marisa Earll, Social Chair; Ravindra Dwivedi, Vice President; Ben Paras, Social Chair; Brianna McClure, Social Chair; Undergraduate Representative, Erin Gray, not shown. Back row (behind sign), left to right: Tom Meixner, Faculty Mentor; Rodrigo Andres Sanchez, Treasurer; Antonio Meira Neto, President. Front row, left to right: Rajarshi Mukherjee, Social Chair; Marlyn Ripalda, Undergraduate Representative; Alissa White, Social Chair; Katarena Matos, Undergraduate Representative; and Tirthankar Roy, Vice President. Left to right: Kirstin Neff, Social Chair; Xavier Zapata-Rios, Vice President; Michael (Chak) Tso, Treasurer; Derek Groenendyk, President; Tom Meixner, Faculty Mentor; Daniel Trail and Marlyn Ripalda, Undergraduate Representatives, not shown. 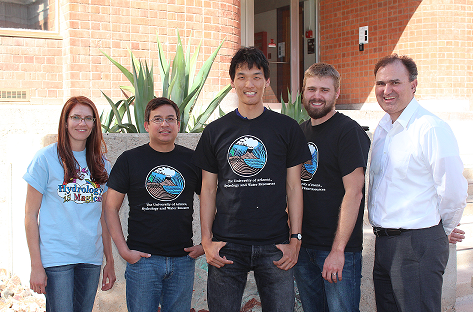 Left to right: Timothy Bayley, Vice President; Colin Kikuchi, President; Robert (Bobby) Chrisman, Social Chair; Jenna Shelton, Treasurer; Tom Meixner, Faculty Mentor, not shown. 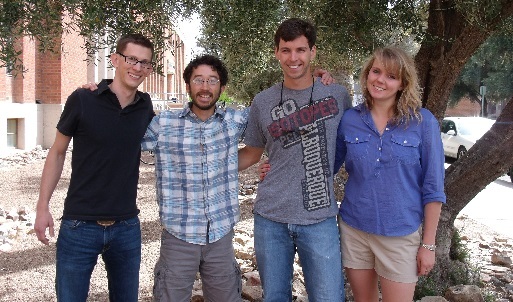 Left to right: Jacob Knight, Social Chair; Becky Witte, Vice President; Courtney Porter, Treasurer; Hussein Jeffrey Gawad, President; Tom Meixner, Faculty Mentor. Tymon Khamsi, Undergraduate Representative, not shown. 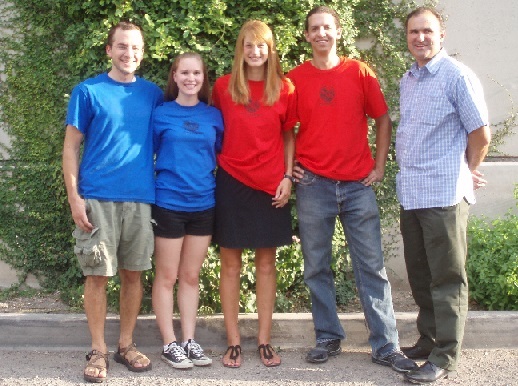 Left to right: Matt Switanek, Vice President; Ingo Heidbuechel, President with the official Seal of Approval; Phoolendra Mishra, Treasurer; and, Viviana Lopez-Burgos, Social Chair.